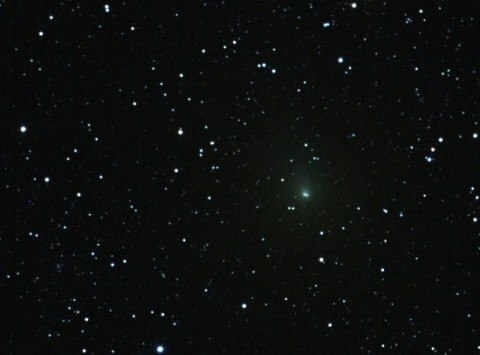 A newly identified comet is coming home for the holidays. And by holidays I mean mid-December and by home I mean the Sun. So really that first sentence doesn’t mean anything. 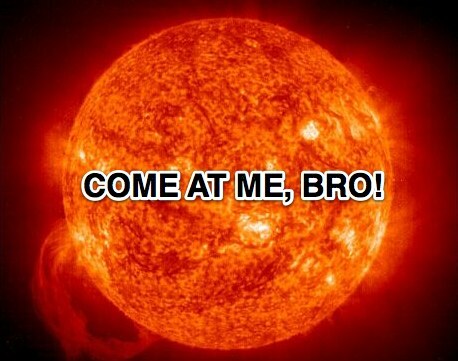 But a comet is going to graze the surface of the Sun, most likely disintegrating it. The comet is categorized by astronomers as a “sungrazer” and it is destined to do just that; literally graze the surface of the sun (called the photosphere) and pass through the sun’s intensely hot corona, where temperatures have been measured at upwards of 3.6-million degrees Fahrenheit (2-million degrees Celsius). We should get some pretty wicked images from the daredevil space racer’s death defying stunt. In the slim event that the comet survives, we might even be able to see it in broad daylight. Is Jupiter’s Evil Twin Hiding At The Edge of Our Solar System? Scientists have studied a centuries worth of comet data and come to the conclusion that at least 20 percent of visible comets were kicked out of the Oort Cloud by a Jupiter-sized object lurking at the solar system’s outer edge. 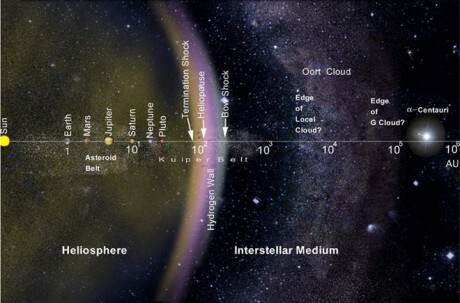 Eighty percent of objects pushed out of the Oort cloud could be explained by the gravity of the galaxy, but the remaining comets would have required an object 1.4 times the mass of Jupiter to kick them out. In 1999, Matese and colleague Daniel Whitmire suggested the sun has a hidden companion that boots icy bodies from the Oort Cloud, a spherical haze of comets at the solar system’s fringes, into the inner solar system where we can see them. In a new analysis of observations dating back to 1898, Matese and Whitmire confirm their original idea: About 20 percent of the comets visible from Earth were sent by a dark, distant planet. An object such as a brown dwarf would knock out more than 20 percent, but “Something smaller than Jovian mass wouldn’t be strong enough to do the deed,” Matese said. You can see it now but make no mistake, the Hartley 2 is coming. Not unlike the Hulk, it’s green, it’s unstoppable and it will come very close to destroying the Earth before moving along peacefully. Comet Hartley 2 will swoop within 11 million miles of Earth on October 20, one of the closest approaches of any comet in the last few centuries. Hartley 2 is already visible as a pale green streak in the W-shaped constellation Cassiopeia. NASA astronomer Bill Cooke caught the comet on September 28 in a 4-minute exposure taken from a remotely-controlled telescope in Mayhill, New Mexico (Cooke himself was in his home in Huntsville, Alabama, according to NASA’s Watch the Skies blog). Who’s having a Hartley 2 party? You are currently browsing the archives for the Comet category.